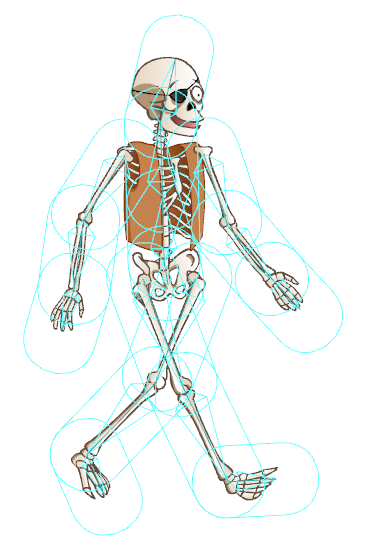 The Bones feature in Toon Boom Studio allows you to create a skeleton over your character by using the different Bone tools and then animate it as if it were a body with the Skeleton effect. The skeleton can be used to not only animate vector-based drawings, but also bitmaps. You can follow the different exercises of this chapter using the different bones templates provided within the software's library!